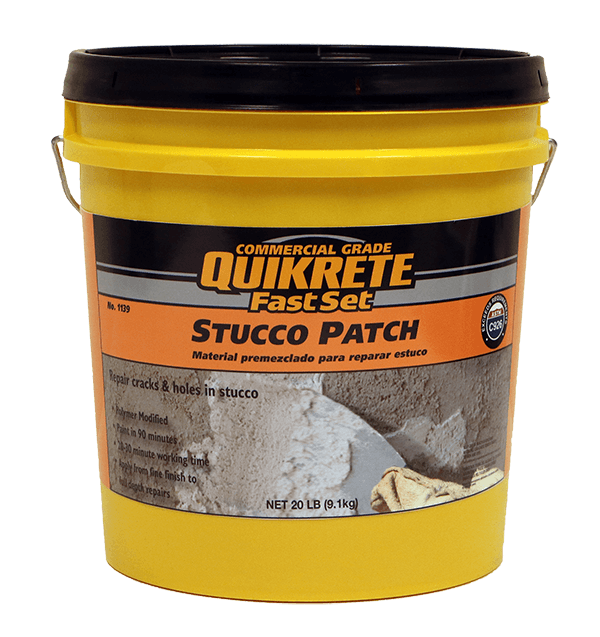 QUIKRETE® FastSet™ Stucco Patch (No. 1139-92) is a fast-setting, Portland cement-based stucco patching material formulated to provide water repellency, minimal shrinkage and improved durability. FastSet™ Stucco Patch can be used for partial-depth and full-depth stucco repairs. FastSet™ Stucco Patch has a working time of 20-30 minutes and can be painted after 90 minutes.